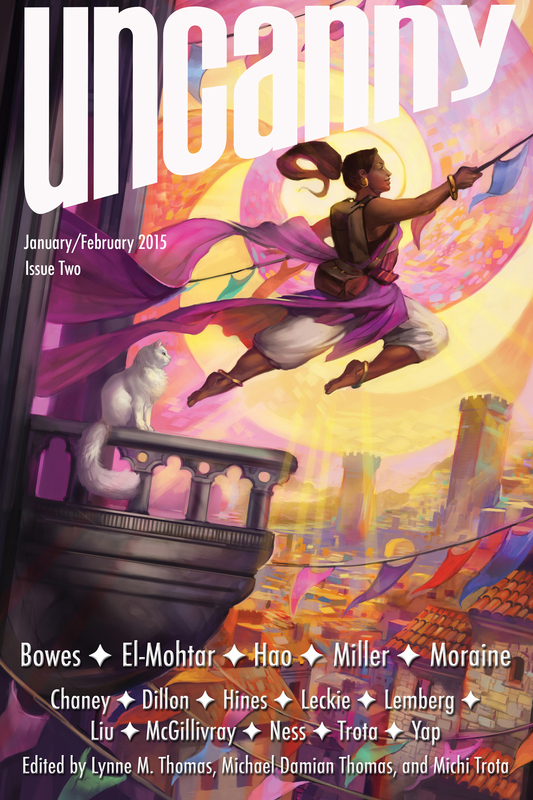 A year ago, Lynne and Michael Thomas made me the offer of a lifetime: become managing editor for their brand new publication Uncanny: A Magazine of Science Fiction and Fantasy. Sometimes I still have to pinch myself to prove that this last year has been real, that I’ve been working with some of the best and most amazing writers in SFF and that it’s really my name on the magazine cover next to theirs. We’re fast approaching the finish line of Year One – stories, poems, and essays are being copy-edited and production for Issue 6, our final issue of Year One, is in full swing. Uncanny has undoubtedly eaten up quite a bit of my life since I joined the Space Unicorn Ranger Corps. Between my day job (including an unexpected lay-off which thankfully didn’t last too long), month after month of conventions and paneling, speaking at the Chicago Humanities Festival (about Doctor Who, how cool was that?! ), working to grow Chicago Nerd Social Club, fire performing, and of course, Uncanny, there have been a lot of sleepness nights, stress headaches, sad excuses to my gym trainer (who also happens to be my favorite baker at our local farmer’s market), and little to no time for blogging (something I’m making sure to carve out time for moving forward – I hope!). I don’t regret a moment of it because it’s all been worth it. Every time I look at each issue of Uncanny, I’m immensely proud of what we’ve created. I even had a chance to do a few interviews and had an essay appear in the magazine (with a second one in Issue 6). Lynne, Michael, our Ombudsman Caitlin Thomas, Erika Ensign, Steven Schapansky, Deborah Stanish, Amal El-Mohtar, C. S. E. Cooney, and our Submissions Editors (including my husband Jesse Lex) have been a dream team of dedicated and passionate professionals who are also some of the most wonderful people I’ve ever had the good fortune to work with. From the bottom of my heart, I thank them all for giving me the chance to be part of an amazing piece of the SFF world and for inspiring me to put forth some of the best work I’ve ever done. And I also thank everyone who’s supported Uncanny in so many ways over the past year, by contributing to/sharing our Kickstarter for Year One, becoming a patron on Patreon, by submitting work to the magazine, by sharing our Tweets and Facebook posts, by subscribing, and so many other ways I’m sure I’m forgetting. Whenever I’ve despaired over the kerfuffles, barriers, and ongoing struggles within SFF, Uncanny has reminded me why I love this genre so much and why we fight so hard to create a truly inclusive community that celebrates the best that SFF has to offer everyone. This past year has been magic and I hope you’ve enjoyed Uncanny as much as I have. With the hard work of the best staff and contributors in the world, Uncanny Magazine delivered everything as promised. All this content is available for free over the web, thanks to your support. Though Uncanny has developed several additional funding streams to make the magazine sustainable, we’re not quite there yet. Which is why we’re running the Uncanny Magazine Year Two Kickstarter: The Return of the Space Unicorn. “Fortune’s Favored” by Julie Dillon on the cover of Issue 2. My first essay for the magazine was in this issue so it’s got a special place in my heart. So that’s where we’re at! You can get more details by going to the Kickstarter page. 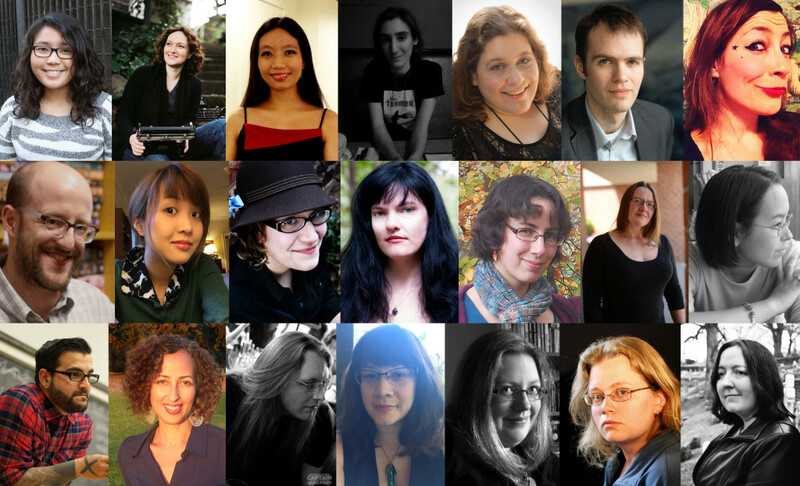 We have some fantastic rewards for backers, including manuscript critiques, Google hangouts, and blog posts on backers’ topics of choice by contributing authors (and yours truly), art postcards, and more assorted goodies, but don’t wait! If last year’s Kickstarter is any indication, these backer rewards are going to go fast! Thank you for helping to make Uncanny Magazine Year Two a reality, I really can’t wait for you all to see what the magazine will bring you next. This entry was posted in Culture, Fandom and tagged Kickstarter, magazine, SF/F, Uncanny, Year Two by Michi Trota. Bookmark the permalink.